Carrier oils, also known as base oils, play a central role within aromatherapy and are commonly used as the primary base in which essential oils are blended and diluted prior to massage. Whilst carrier oils lubricate the skin and optimise the absorption of essential oils they also possess their own therapeutic properties which, if carefully selected, can complement the essential oil prescription and increase the overall potency of the aromatherapy massage oil blend. 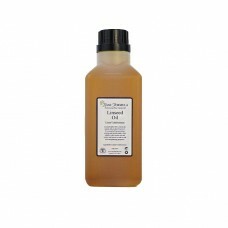 As well as for massage, carrier oils are often used for skincare. They are rich in vitamins, minerals and essential fatty acids which help to moisturise, nourish, soothe, heal and regenerate the skin. 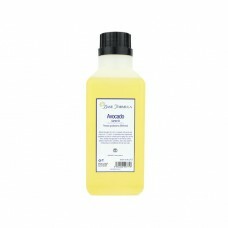 They can also be useful in caring for the hair and scalp. Typically extracted from nuts and seeds these 100% natural plant oils have a wide variety of textures and absorbency rates, which can be selected in accordance to different skin types and conditions. All of our base oils are 100% pure and contain no other additives, colours or preservatives. Our experts recommend that when creating aromatherapy massage oils, an average of 2-6 drops of essential oil are used per tablespoonful of carrier oil. Please note that our base oils are natural products and that they may vary in colour from batch to batch. Sweet Almond Oil (Prunus Dulcis) is the most widely used carrier oil, suitable for all skin types. I.. 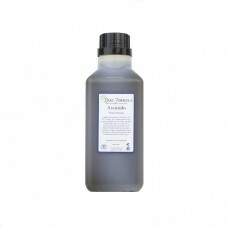 Refined Avocado oil (Persea gratissima) has been processed to remove the cold-pressed oil's dark gre..
Avocado oil (Persea gratissima) is cold-pressed from the fleshy pulp of the avocado pear. The unrefi..
Cold-pressed Blackcurrant Seed Oil is rich in gamma linolenic acid (Omega 6 essential fatty acid) an..
Borage (commonly known as Starflower Oil) is a skin nurturing carrier oil rich in therapeutically ac..
Calendula (Calendula officinalis) or Marigold oil is produced by infusing or macerating the marigold..
Camellia Oil (Camellia Sasanqua) has a highly restorative and rejuvenating effect on skin and is the..
Red Carrot Carrier Oil (Infused in Sunflower) offers extraordinary skin protection and conditioning ..
Castor Oil (Ricinus Communis) is obtained from the castor bean. It has been used on the skin and hai.. Pure cold pressed Coconut Oil (Cocos Nucifera) appears like soft butter at room temperature and is w..
Comfrey (Symphytum officinale) is a perennial herb with broad, hairy leaves and small pinky-purple, ..
Evening Primrose (Oenothera biennis) Oil, once known as the "Kings Cure All”, is very high in gamma ..
Grapeseed (Vitis Vinifera) Oil is a less expensive, slightly lighter alternative to Sweet Almond Oil..
Hazelnut (Corylus avellana) oil is a wonderfully nutritious base oil that has been used for hair car..
Hemp Seed Oil is a highly-therapeutic yet under-utilised carrier oil. It is cold pressed from the se..
Linseed (Flaxseed) Oil is a nutrient-rich oil and one of the few carrier oils with a high content of..
Macadamia Nut (Macadamia Integrifolia) Oil comes from the pressed nuts of the Macadamia Tree. 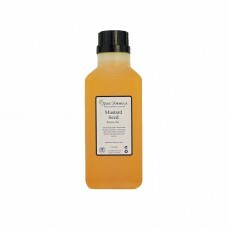 Macada..
Melon Seed Oil (Citrullus lanatus) is cold pressed and refined from the seeds of the Watermelon. 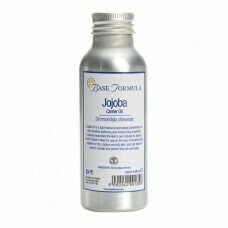 It ..
Mustard Seed (Sinapsis Alba) Oil is traditionally used in Indian Head Massage to produce a stimulati.. The Neem tree (Azadirachta indica) is a fast growing evergreen tree native to the Indian subcon..
Our organic, cold pressed Extra Virgin Olive Oil is rich in essential fatty acids, Vitamins A, B1, B.. Essential oils are far too strong to be applied directly to the skin. We therefore typically use carrier oils to dilute essential oils so that they are safe to use on the skin without causing burning, irritation or sensitisation. There are other carriers available, such as creams, lotions or gels, but carrier oils are the most popular base product in aromatherapy, particularly for massage. 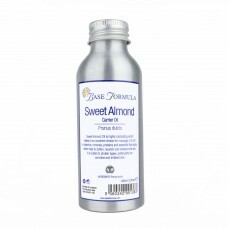 A carrier oil is a vegetable oil that is extracted from the fatty parts of a plant - typically the nuts, kernels or seeds. They are also known as base oils or fixed oils. Fixed oils, unlike essential oils, are non-volatile and do not evaporate over time. Carrier oil is the term that is generally used in aromatherapy, as it is the medium by which essential oils are ‘carried’ into the skin. How are carrier oils extracted? There are two main methods of extraction. Hot extraction is used for large scale, industrial production. This process uses extreme temperatures to maximise the yield of oil, but unfortunately destroys the oil’s natural nutrients. 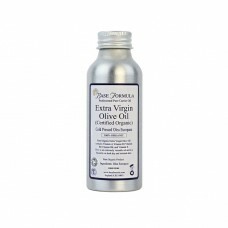 The resulting oil is refined, deodorised and bleached to remove its natural colour, then artificial colour, vitamins and preservatives are added back in. Oils mass produced in this way are usually destined for the supermarket shelves and are not appropriate for use in aromatherapy. 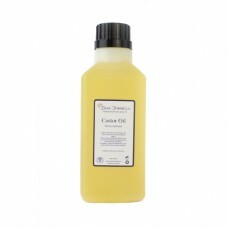 Carrier oils used for aromatherapy should ideally be extracted via cold pressing. This is done on a relatively small-scale and uses machinery to literally press the oil from the plant material. The process generates only a small amount of heat, which is not significant enough to destroy the oil’s fragile nutrients and therapeutic effects. As discussed above, it is always best to choose unrefined cold-pressed carrier oils as these are less processed and contain the most nutrients. Refined carrier oils have been further processed to remove impurities, unwanted colours or scents, or to make them more stable and easier to work with. Unrefined coconut oil for instance, sets hard like butter, which isn’t suitable for all applications. It is often refined to remove the long-chain fatty acids which results in a liquid oil – this is known as ‘fractionated’ coconut oil. Although the liquid oil will have lost some of its nutrients, it still has excellent skincare benefits and is much lighter, less greasy and more readily absorbed into the skin. Avocado and Wheatgerm are also commonly refined to remove their dark colours and strong aromas which can be undesirable in certain products or applications. Carrier oils contain fat soluble vitamins, minerals, essential fatty acids and other valuable nutrients that can be beneficial to our health and wellbeing. Our bodies cannot produce essential fatty acids, (EFAs) so for optimal health, and healthier, younger looking skin, these need to be obtained from our diet. A lack of essential fatty acids can cause various health problems including dry skin and hair, and conditions such as dandruff, eczema and psoriasis. Applying nourishing carrier oils, that are rich in essential fatty acids, can therefore help to significantly improve the look and feel of our skin and hair. Some oils also contain antioxidant tocopherols (Vitamin E) which help to tighten and firm the skin and protect it from environmental stressors such as pollution and ultra violet light. As well as being good for skincare and haircare, carrier oils also possess their own healing benefits which can enhance the therapeutic effect of your aromatherapy blends. Like essential oils, carrier oils should be chosen according to your particular need or skin type. Remember that an aromatherapy blend for the body typically contains 2% essential oil and 98% carrier oil (or 1% and 99% for the face), so they are hugely important to your overall blend and can create powerful synergies when blended with the appropriate essential oils. You can visit our product pages to find out more about each individual oil and its therapeutic effects. When used for massage, the carrier oils help to lubricate the skin, preventing excessive friction between the skin and hands, and providing a smooth, easy glide over the skin’s surface. Unlike manufactured oils such as baby oil or mineral oil, these 100% natural base oils are absorbed into the skin, carrying the therapeutic essential oils into the body, so they can start to take effect. Certain carrier oils may be better for particular types of massage, so it is important to select the correct base oil for your particular needs. 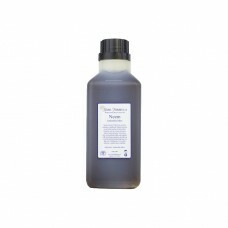 The best oils for massage should generally have a low density and viscosity (i.e. not too thick or sticky) and should not be absorbed too quickly into the skin. It’s also best to use oils with little or no odour (whenever possible), so they don’t detract from the scent of your essential oils. Sweet Almond, Grapeseed, Sunflower Seed and Fractionated Coconut oil are all popular and cost-effective options for general body massage and can be used at 100%. Some of the richer, heavier carrier oils, for e.g. unrefined Avocado or Wheatgerm, will need diluting with a lighter, more free-flowing oil. Carrier oils vary in how long they will keep before oxidizing and becoming rancid. This will depend on the level of fatty acids and tocopherols in the oil, extraction methods and other characteristics. To keep them in optimum condition it is best to store them in a cool, dark place. Most can be stored in the fridge to maximise their shelf-life (Avocado being the main exception). Please note that some oils may solidify or go cloudy if stored in the fridge and will need time to return to room temperature before using.